From your budget to terrain of use and number of kids, a confluence of factors go into your purchase decision when buying a stroller for big kids. If your kids are much bigger than their peers, finding a match without hurting your budget can be another gripe too. You want your littlies to feel comfortable and safe when out on a hot summer stroll. And so durability also comes into play. Whatever your needs are, there are plenty of options available. But wriggling your way and finding what ticks your checklist can quickly become a serious task. Which is why we’ve decided to shorten your buyer journey, combing through the truckload of options to find the best strollers around. This is by no means an exhaustive list, but we sure hope you’ll find it handy in making a decision when cashing in on a stroller for big kids. 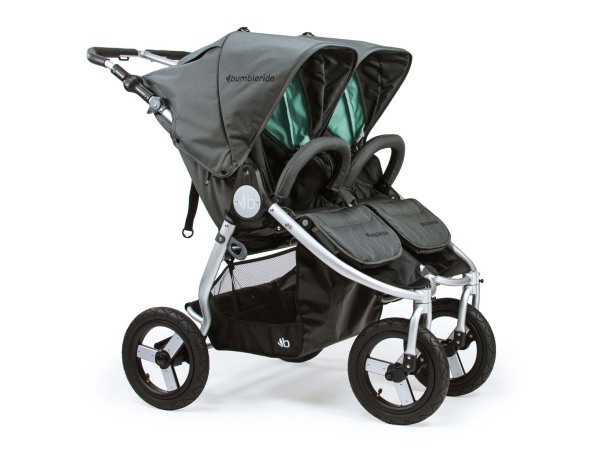 Height, adjustability, comfort and buyer reviews were key in making our stroller picks. Which means there’s likely an ideal pick for everyone, from the fitness geek to travel mavens and parents with kids who require special assistance. However, you may also check out other options if these don’t fit the bill. If you’re in for a quick overview of which strollers to consider and how well they stack up to your needs, you’ll fancy this guide. In no particular order, let’s dive into some of the best out there for parents with big kids. A popular option for many parents, umbrella strollers are often tailored to suit a single passenger. There are also designs for parents with two kids or twins. Umbrella strollers are known for their compact design that allows them to fold seamlessly. They are also comparably lighter in weight than other alternatives, which is why they win the day for parents who are constrained by storage space. Thanks to their heavily padded fabric, umbrella strollers provide great support. They also come with a staggering seat capacity, allowing kids weighing up to 50 pounds to fit in at will. When it comes to storage space, it’s a roomy affair. Expectedly, these features would mean that umbrella strollers may not be the cheapest if you are short on budget. That said, if you’re cool trading off some of their features, you want to look out for less pricey alternatives at a fraction of the price. With that out of the way, here are some of the best when shopping for a stroller for big kids. If you are in for a stroller with all the perks your big baby needs in the comfort department, the GB Pockit Plus is all yours for the taking. And the reasons are not far-fetched. First off, the stroller is considerably light in the weight department, without compromising the features you want for your big tot. Another striking feature is the seat, which is much wider than the provision in the older GB Pockit model. What this means then is the GB Pockit Plus will likely serve your kids, growing with them as they age. But that’s not all. Coming at 13 lbs, the stroller is obviously one of the lightest out there. And while you may fancy the older version is 3.5lbs lighter, the GB Pockit Plus retains its small and compact design. Folded, you shouldn’t have any problems storing this at home as it is only marginally bigger in dimension than the regular model. Under your table on in your car trunk, the GB Pockit Plus stores perfectly. A stroller for big kids shouldn’t stop at providing comfort on the go. Equally important is that you adequately shield your big kids from blemishes and burns resulting from exposure to sunlight. The GB Pockit Plus does a great job here. 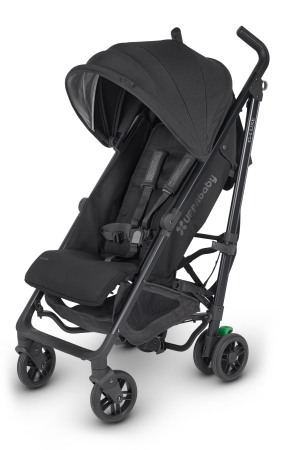 Redesigned to provide the overarching protection your baby needs all day outdoors, the canopy is a much bigger and rounded when compared with the previous model. But that’s not all. For sleeping babies, a reclining backrest can be the missing jigsaw to a perfect shut-eye. And when you are out for most parts of the day, your baby’s comfort couldn’t be more important. The GB Pockit comes with a decent reclining backrest to provide the essential support your baby needs. This model, however, retains the storage basket and wheel size of the older version. Considering the not-so-big storage basket, you’ll probably want to weigh your alternatives if storage size is critical for your baby’s needs. Also, the wheel size of the GB Pockit ensures a breezing stroll on paved surfaces, but not as fluid on rough or overly bouncy terrains. And so cashing in on other alternatives is probably what you need for use on tough terrains. Steering the stroller isn’t difficult, due in part to its lightweight design that allows you to go past doorways and pavements using a single hand. Combine this with the nimble design streamlined for narrow aisles and crowded locations and the GB Pockit remains an ideal pick for the budding outdoors. 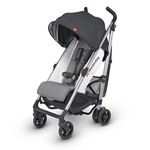 Another ideal choice when buying a stroller for big kids, the Britax B-Mobile is great on all fronts and packs a number of features to the delight of most parents. Suitable for older kids, you’ll be happy to know the stroller is equally perfect for use if you have a toddler or newborn, thanks to the versatile design that integrates with Britax infant car seats. The seats are sufficiently padded for enhanced comfort, and so your big kid with decent head and control can have a go at this. To recline, simply pull the strap and you’ll have the backrest lower accordingly. Enter the capacity department and what awaits is a comfortable stroller for all kids 55lbs and below. Affordable and lightweight, the Britax B-Mobile reclines well, but sadly doesn’t go entirely flat. So if a flat recline is what you want, better to check out other options. However, the stroller provides decent depth to allow your baby sleep comfortably. Designed to excellently protect your kids, the Britax B-Mobile stroller presents a wide canopy sun visor, ruling out any UV harm as you coast through the day. It’s always nice if you can monitor your kid on the go with a peekaboo window. Sadly, there’s no provision for one in this model. Sure, this may not be critically important for older kids, but you sure want to have some window of some sort when strolling with younger kids. As for storage, there’s a decent basket provided for your all baby’s outdoor needs. From small groceries to medium-sized diaper bags, you can toss them in at will. Only ensure not to go overboard as the material isn’t made to withstand a pile of luggage. Although not as lightweight as the GB Pockit Plus, this stroller shouldn’t feel heavy to the push. 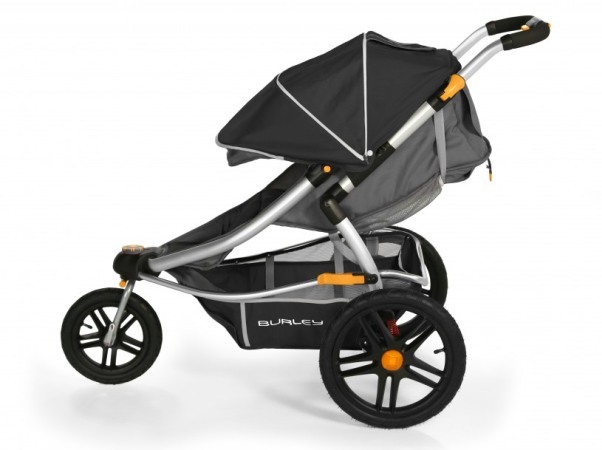 The Britax B-Mobile comes up to just 16.3 lbs. As a matter of fact, it appears the lightest of the lot in the line of Britax stroller collection. The simple fold allows you to pack the kit using a single hand. And just like GB Pockit Plus, the stroller won’t ask for too much space when stored. A major downside with this stroller is in the seat design. For some reason, it’s not made to fold inwards. This exposes it to more dirt than normal, and thus regular cleaning routines. So be sure this is no major deal breaker before settling for the stroller. 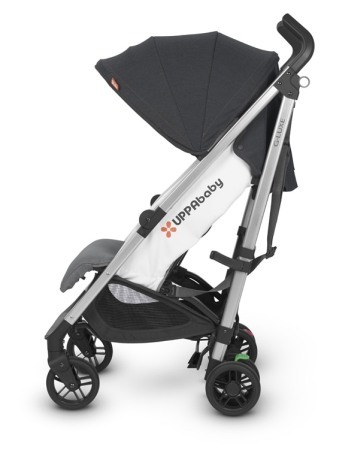 Our next pick is the UPPAbaby G-LUXE stroller. Great for just about anyone with a vibrant outdoor lifestyle, this stroller for big kids offers near-flat recline. Your perfect pick for an all day trip. Like many on this list, the UPPAbaby G-LUXE is incredibly lightweight, weighing a paltry 15 lbs. This affords you excellent control and makes movement across surfaces fluid and hitch-free. Ideal for most babies, the stroller provides more than enough capacity to house babies with a maximum weight of 55 lbs. Another upside is the minimalistic design. Whether it’s lifting it into your car trunk or storing it back home, the stroller takes only a fraction of your storage space. Even more, it’s equally worth mentioning that the G-LUXE comes to about only 19.5 inches in width, making it fit past doorways and tight spaces wherever you go. Perfect for babies 3 months or older, you can have this stroller recline in 3 positions. Which makes it ideal when changing baby positions when out for an all-day trip. However, your baby won’t be able to assume an upright position in this, thanks to the recline design. Busy shopping at the grocery store or making a call? No worries! The one-hand recline option is all yours to keep your baby in position. Whether for a newborn or a 3-year-old, a key area to factor when looking for and ideal stroller for big kids is the seat padding. The UPPA baby-G-LUXE will probably not disappoint here, as the seat is well padded and designed to provide excellent cushioning. Still, if you intend having a stroller to use for a newborn, you want to look elsewhere – the head support is less than adequate for that tender age. This stroller also features an adjustable leg rest, which is a great add on for your baby’s comfort wherever you go. 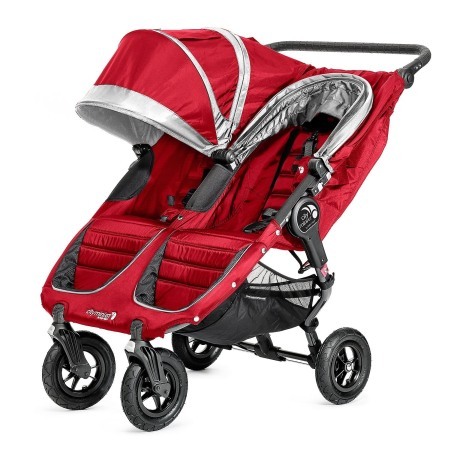 Extensive canopy design is synonymous with great strollers. 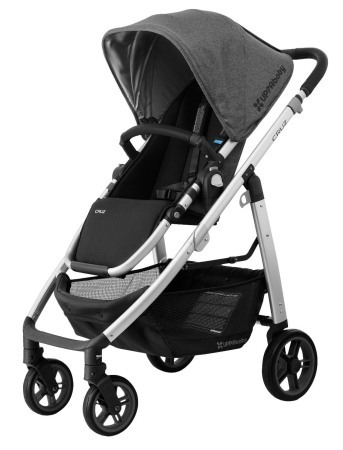 And the UPPAbaby G-LUXE is no exception. When you have a big kid inside, the need for adequate shield couldn’t be more important. 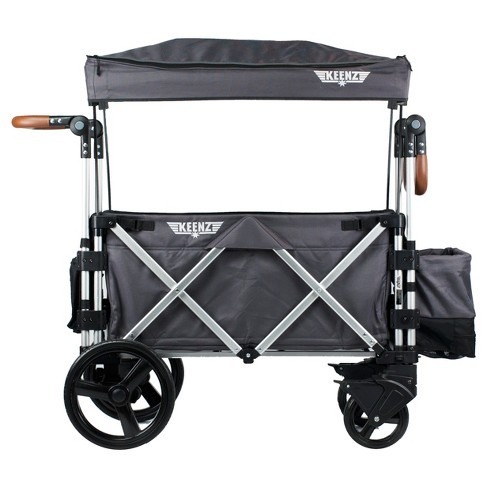 Featuring a foldable sunshade, this stroller shouldn’t disappoint when strolling in harsh weather conditions. Plus, an SPF 50+ protection ensures your baby isn’t exposed to the skin-damaging effects of UV rays. Capacious, the canopy is removable and can house tall kids without fail. To ramp up its features, the UPPAbaby G-LUXE comes with a decent storage space, allowing you to carry along diaper bags and trifling items seamlessly. However, the maximum capacity of this basket is 10 lbs. As with other models, the UPPAbaby G-LUXE has garnered many reviews on Amazon, most of which are from happy parents. 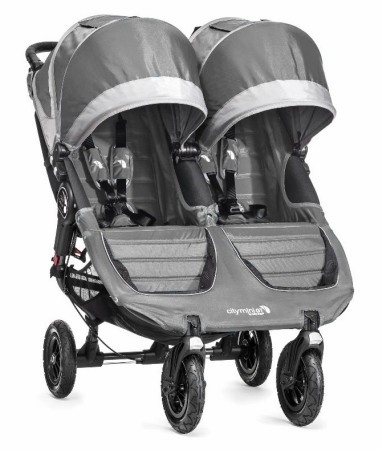 To see what they are saying and other tips to get the best out of this stroller set, head over to the Amazon product page here. 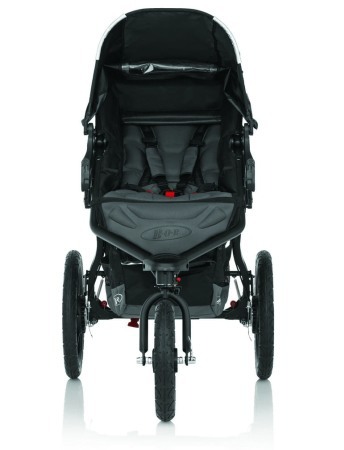 A common rave about the stroller goes to its sublime ease of carriage and lightweight design. 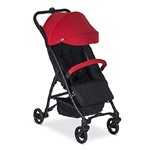 Parents also love that it folds quick and reclines excellently with a roomy canopy to match. Shopping for a stroller for a big kid? 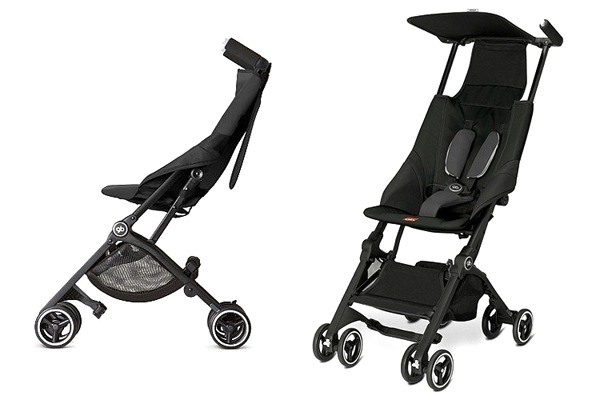 Here’s a summary of the common pros and cons to bear in mind when buying the UPPAbaby G-LUXE. Big kids need big strollers, and another great pick to match their needs is the GB Pockit stroller. Designed to accommodate most kids, this version wouldn’t complain housing kids with a maximum weight of 55lbs. Perhaps the most alluring feature here is this capacity is provided even when the stroller itself only comes up to 9.5l lbs in weight. Brace up for fluid movement! You likely won’t find a tinier fold than the GB Pocket, so this is a great buy if you drive a small car or barely have sufficient storage space to spare. The GB Pockit has an intuitive design that allows it to fit into your travel luggage, perfect for parents who spend plenty of time on the road. This stroller may appear exceedingly small, but this doesn’t make it any less durable. Expect the GB Pockit to take your baby 3 years or more. For most parents, storage space is key. And there’s just about a decent one available for all your baby’s needs. The stroller has a maximum capacity of 11 lbs. 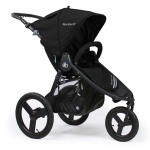 The front wheels swivel, ensuring you spend more time walking than grappling to steer your baby in the right direction. You can easily change the wheels to lock when strolling on unsteady surfaces. With its compact design, the GB Pockit comes at an unbelievably tiny 11.8” x 7” x 13.8” fold dimension. Unbelievably tiny that is! Interestingly, GB Pocket shattered the Guinness World Records in 2014 as the most compact stroller. Thanks to the huge popularity enjoyed following its release, the GB Pocket stroller has remained a best seller for parents shopping for the perfect stroller for big kids. It’s Amazon reviews only continues to soar in numbers. To find out what other parents are saying and know whether this original version or the GB Pocket plus is what you want, check out the product page on Amazon here. This stroller wins the fold department by far. Which furthers why it has remained one of the best strollers for big kids for such a long time. The GB Pockit is made to coast through only flat terrains. So you’ll fancy looking elsewhere if you want something rigid enough to take on bouncy and rough surfaces. There’s also no multi-position recline seat as is available in the GB Pockit plus version. Compare prices and see which fits your needs before hitting the buy button. If you’re still vacillating which stroller to go for and whether the GB Pockit is right for you, these pros and cons should come in handy. 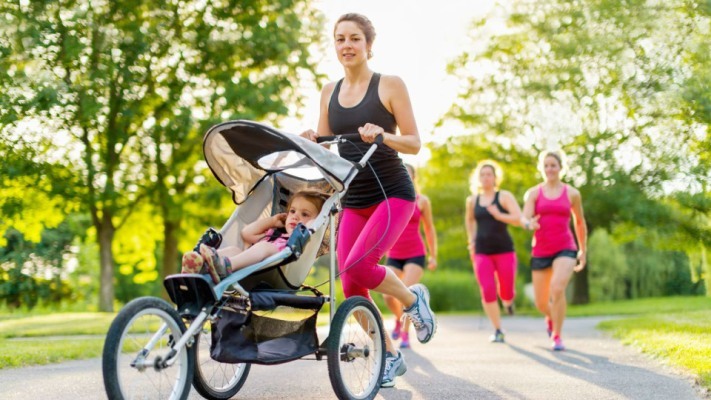 Whether you are just out of maternity, nursing a kid a week to a few months old or simply want to go out and relieve all the stress to stay in shape – Jogging strollers can only be a goldmine. In contrast to umbrella alternatives, jogging strollers are considerably heavier, due in part to their staggering features. For example, many jogging strollers notch things up higher in the capacity department, housing kids weighing up to 75 lbs. They also provide bigger storage spaces than regular umbrella strollers. If this strikes a chord with your needs, we’ve got some nice picks to get you and your baby cracking outdoors when next you go shopping for a stroller for big kids. 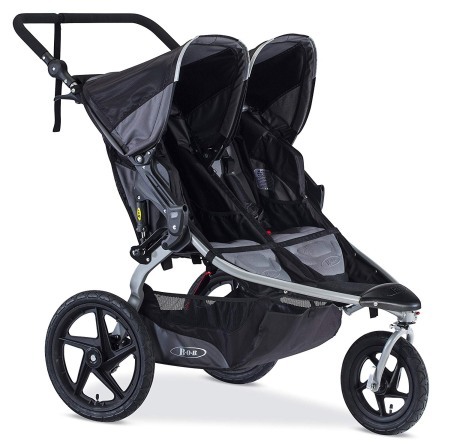 Roomy seats, great backrest and an excellent recline, the Joovy Zoom 360 Ultralight Jogging Stroller has it all. With a staggering capacity of 75lbs, your baby fits in just fine all day. The backrest comes to 22.” Add this to the seat width of 14” and your baby should have a comfortable recline wherever you go. Perfect stroller for big kids! The seats come with two strips on both sides. These are used to recline the seats to position. However, some might not be happy with the way the mechanism is set up; without carefully setting the seats by losing the strips equally, you end up tilting the seats to one side, which surely doesn’t make it comfortable for your baby. While designed to recline greatly as your baby demands, another drawback here is that you can’t set the seats to recline entirely flat. And so this stroller is probably not what you want if you are in to provide superior comfort and safety for your newborn. That said, it appears the stroller would work just fine for babies 3 months or older. 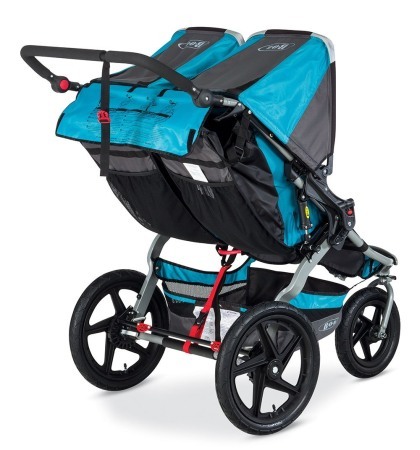 Like most big strollers, the canopy of the Joovy Zoom 360 is exceedingly wide. And thanks to the Velcro closure plastic window, you can easily check on your baby’s position on the go. The caveat with the canopy, though, is it is raised rather too high when compared to other alternatives. Thus, it might not do a great job shielding the sun away from your baby. Plus, Velcro closures are often noisy. So find out if this design is what you want before going with the stroller. Additionally, you might also fancy a window mesh as opposed to the plastic one available in the Joovy Zoom 360. If nothing, mesh designs are sure to permit better inflow of air than plastic alternatives. This can be really important when out on a hot summer day. As with any stroller for big kids, there are few cons to watch out for. Still, if buyer reviews are anything to go by, there’s no gainsaying the fact the Joovy Zoom 360 is a widely fancied pick among the lot. What better way to check for verified buyer reviews than heading over to the Amazon product page. If you want to find out what other parents are saying and whether this stroller is well cut out for your outdoor needs, visit the Amazon product page here. 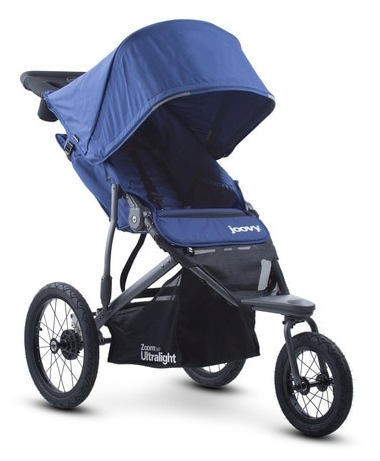 A major downside of the Joovy Zoom 360 Ultralight Stroller is its storage demands. It appears rather big even after folded, so if you want something more compact for a tiny storage space, check out other strollers on this list. However, the seat is designed to house kids up to 42” tall. So if the tradeoffs won’t hurt your baby’s comfort on the day, you may well have a go at the Joovy Zoom 360. Perhaps the greatest allure for most parents is its smooth and hassle-free ride, due in part to its big wheels. Big wheels offer superior stability across surfaces, and so the stroller might work just fine for multi-terrain use. Supporting this stability is the suspension system. We all know what a good suspension system means for your baby’s overall comfort. And so the Joovy Zoom 360 should serve your need whether on gravel, rocky trails or grass. Going by its capacity, parents also love that they don’t have to commit much force when manoeuvring the stroller on the go. Just as great is the high seat, which affords your boisterous baby unfettered view of what’s going on wherever you go. For long term use, you want a stroller that packs a punch in the durability department. Which is exactly what you sign up for with the Joovy Zoom 360’s high-quality material. There are also accessories included, ensuring you don’t have to budget for external add-ons. Children with special needs should fit well in this. With a spacious, comfortable seat that welcomes kids as old as 7 years, this is another decent stroller for big kids to consider. The key pros and cons are given below. Lots of intuitive features and great design give good credence to why BOB branded strollers are great purchases for many parents looking to cash in on a stroller for big kids. The BOB Revolution Flex Jogging Stroller works for babies as young as 8 weeks old, says the manufacturer. But I’d rather err on the side of caution and consider this fine for use when your baby can independently control of their head and neck. Why we feel? Well the synonymous feature across many BOB strollers is they are not equipped to recline entirely flat, and for a fragile 8-week old baby, keeping them safe from the effect of road imperfections is what you want. The combined carrying capacity of this stroller comes up to 75 lbs. Although this includes the maximum luggage that can be put in the storage basket, this is still quite decent for most big kids. The seat is designed to welcome babies as tall as 44”. To keep this stroller stable and usable for long periods, a good practice would be to ensure you don’t trump the weight limit. Great for children as old as 3 years, you may also find this handy when going on long strolls with your 5-year old kid who may need to take some time out walking due to fatigue. You can recline the BOB Revolution FLEX seat all the way down to 70 degrees from its vertical position, which is just about perfect for most kids to nap when they so desire. For increased comfort, the backrest can easily be buckled to position. However, raising it requires both hands. If you stay in summer climes, the canopy will come in handy. This stroller holds sway in tough conditions and protects your baby from harsh weather with a sturdy, roomy canopy to match. The UPF 50+ fabric additionally ensures your baby is steadily shielded from the UV light, the lack of which could otherwise harm their delicate skin. Wide and efficient, the baby extends greatly to cover most of your baby’s skin. Some would fancy the noiseless operation of the magnetic closure, but what is available here is a peekaboo running a Velcro closure. While many strollers have an unadjustable handlebar, the BOB Revolution FLEX ensures no discrimination in the height department, allowing parents of anywhere between 4’8′ and 6’5” to conveniently control the handlebar. This feature reclines on the nine possible positions to which the handlebar can be adjusted from the ground. Bumpy rides and uncontrolled shocks can be both discomforting and harmful to your baby. 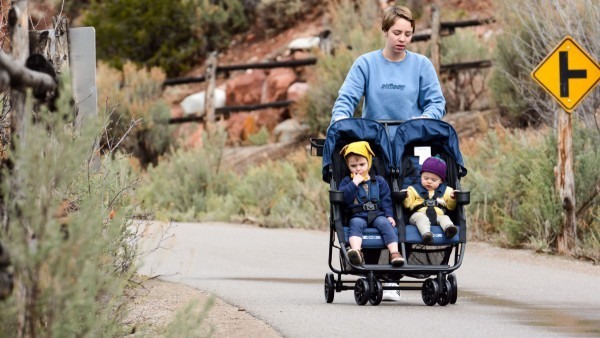 BOB seems to understand this quite well, and they’ve responded with an adjustable suspension system to provide all the cushioning you want for your baby when coasting through uneven terrains. Depending on your baby’s weight, the suspension system can be adjusted to ensure the center of gravity aligns well and protects undue interference to your baby’s comfort. 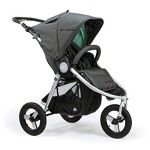 Available on Amazon, the BOB Revolution Flex stroller stacks up well going by buyer reviews. With hundreds of happy parents raving about its features and rugged design for most terrains, you probably won’t go wrong cashing on this stroller for big kids. To check out unbiased reviews of what buyers are saying before making a purchase, visit the product page here. Among other features, its smooth ride makes it first choice for many buyers. 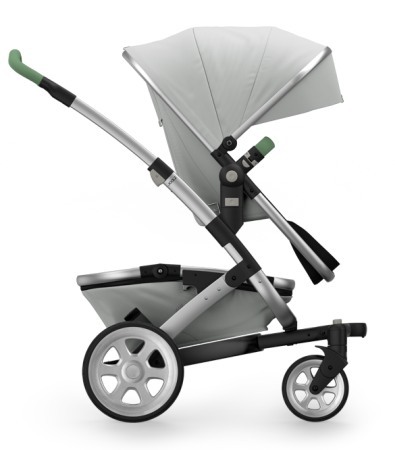 The nimble design is further tailored to allow you manoeuvre the stroller with only one hand. The BOB Revolution Flex should offer great value for money across gravel, tall grass, sandy beaches, snow, muddy terrains. Even more, the canopy is large and capacious, perfect for use on long summer strolls. The stroller material also doesn’t get excessively hot, some parents say. Which ensures a perfect ambience for your cherished one without bordering on their delicate skin. With an adjustable handlebar height, compatible design to accommodate infant car seats and intuitive one-hand reclining, here are the top pros and cons of the BOB Revolution Flex Stroller. Another quality release from the BOB brand, this stroller is comfortable enough for a 6month old, and sturdy enough for kids weighing up to 70 lbs. Durable, high-quality designs resonate when BOB strollers come to mind, and the BOB Revolution PRO Jogging Stroller appears to tick it all. The padded seat brings the superior comfort of your sofa within your baby’s reach. Plus, the seat is made of high-quality material to ensure cleaning it is a breeze after an all-day stroll, so you don’t have to worry about how messy things get in there. This is further enhanced by the water repellent coating material. BOB recommends this for kids 8 weeks old or more, but you probably want to stick with this when your baby clocks the 6-month mark. Made for most parents, the handlebar is comfortable and makes it easy to manoeuvre the stroller with ease. What makes it stand out from many others is that the handlebar is also adjustable, so there’s a position for parents of all heights. A great suspension system is what you want to keep your baby’s spine in good condition following a ride on unsteady terrains. And the BOB Revolution PRO does a great job here with an adjustable suspension to provide comfort and safety your baby needs all day. The suspension system can be set at two different adjustments to match your baby’s weight demands. Enter grass, grave and cobblestone with confidence! If you’ve contended with a stroller running a small canopy design, the overarching effects of sun exposure need no introduction. While price and durability may be key factors to look out for when buying a stroller for big kids, you can’t afford to ditch your baby’s comfort by exposing them to the sun. For some, a rain cover is an additional plus, but the extendable canopy of the BOB Revolution PRO brings UV protection to a whole new level. You can set the canopy at multiple positions, and it’s equally spacious enough to cover the entire seat. Check out the small window and you shouldn’t have problems monitoring your baby’s position in real-time. The stroller is reinforced with a number of safety features. You have a five-point harness that serves to keep your baby firmly locked in position and safe from the effect of bouncy terrains. There is also a parking brake and wrist strap. For amazing products at the best prices, Amazon is the right place to be. 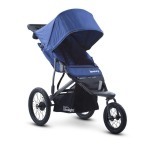 This stroller balances quality and durability and has a lot of reviews to match. Head over to the product page on Amazon here to find out what other parents have to say about the BOB Revolution PRO. The key selling point for some parents is the spacious canopy. The harness allows you to adjust to your baby’s comfort, and the overall design is made to resist the barrage of attacks on rough terrains. Even more, if you have problems using the setup or disgruntled with the overall performance, BOB provides great customer service to meet your demands. Before deciding if this stroller right for you, consider these pros and cons. 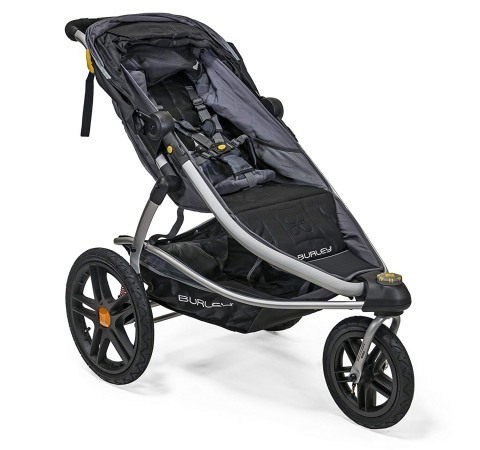 Also making our list of the top strollers for big kids is the Burley Solstice Jogger. Packed full to take you through the day in style, the stroller has a maximum carrying capacity of 75 pounds. The Burley Solstice is also furnished with a roomy seat that does a great job even for kids as old as 5 years. Another upside is the tall backrest which ensures your baby stays comfortable as they grow. The wheels are pretty decent, coming at 16” and 12.5” at the rear and front respectively. 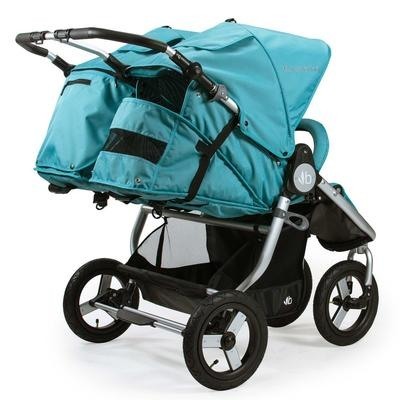 Great strollers swivel at the front, and the Burley Solstice is no exception. You can keep the front wheel locked when going past unsteady surfaces too. 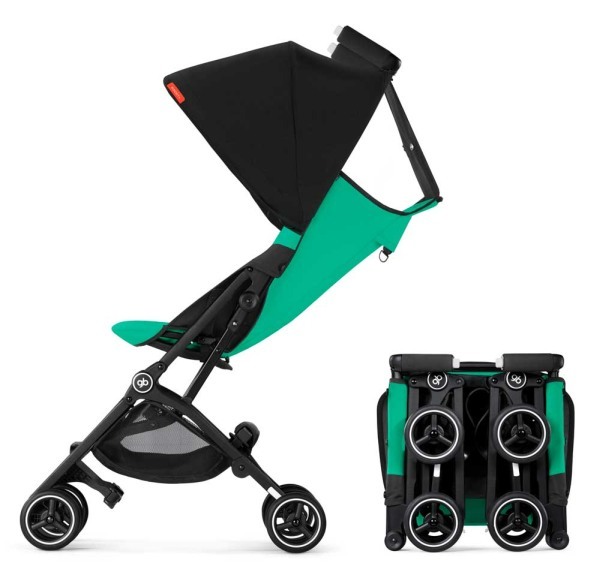 Enter rough paths and you are greeted by a solid suspension system that absorbs all the shocks and impact on the stroller. Further, there is an adjustable, telescoping handlebar compatible for use by all parents – tall or short. Not all strollers come with this feature, so it’s pretty decent here for the Burley Solstice. 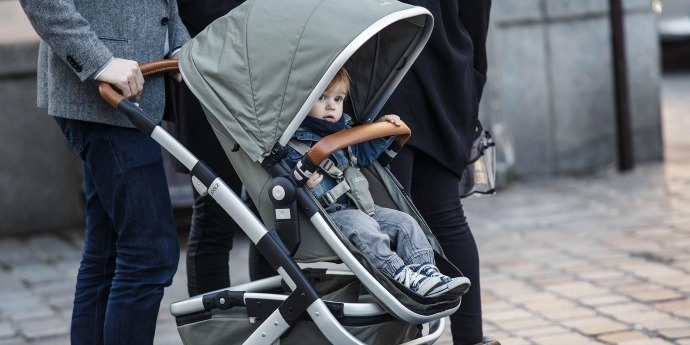 The stroller also prides in having a multiposition canopy that allows you to take your baby through all types of weather without compromising their delicate skin. As with many other strollers, there’s a peekaboo window to ensure you keep a close view of your little one all day. Thanks to the magnetic closure, your baby’s set for sublime sleep time. The well-padded seat is great for 4-year-olds. However, it doesn’t recline greatly. Which basically goes to show why it’s for big kids anyway. If you have much younger kids and looking for a stroller to match, check out other options on this list. The exquisitely designed harnesses securely straps your baby to the seat, making sure they stay bounce free across all terrains. For the petit or weight conscious parent, the Burley Soltice isn’t your lightest of the lot. Presenting a sturdy design and a host of features to match, this stroller weighs considerably heavy at 29lbs. And expectedly, it doesn’t fold compact, so if you are short on storage space of your car comes with a small trunk, looking elsewhere for a more compact stroller is probably what you want. That said, the folder folds easily, requiring only one hand. Here’s a quick brief of the key points to note when buying the Burley Solstice Jogger, another ideal stroller for big kids. The crave for double strollers is one most parents can relate to. While this type of strollers will easily accommodate two kids, they also come with their own disadvantage, the most relatable being their weight. You want a big stroller for big kids, and one that will make for a hassle-free outdoor trip, but doubles can quickly become a pain if you have to summon all force manoeuvring them. Thankfully, there are still great options out there. So whether you just welcomed a new set of twins or looking to fit your tall toddlers conveniently in a comfy stroller, here are the doubles to consider when shopping for a stroller for big kids. We have nothing against other brands, but BOB seems to be doing justice to everything there is parents want across the board when shopping for a stroller. And so for doubles, the BOB Revolution Flex Duallie is probably worth your time. The double side by side stroller is infused with top-of-the-line features. Hopping inside, your big kids are welcomed by comfy seats that recline individually, allowing both passive and active kids to have all the space and comfort they need anywhere you take them. Great recline may not be overly important for big kids, but this stroller still packs a punch here, going all the way down to 70 degrees from its vertical position. It doesn’t end there, though, as the 2016 model is widely touted to present better recline and comes with a buckle that latches using only one hand. Getting back up, your baby can stand almost entirely upright as the seats are equally made to suit this position. That’s great value-add for the highly active tot. Equally awesome is that the seats are vented at the top, ensuring your kids don’t feel stuffy inside as temperatures ramp up. Plus, the vented top can easily be closed when it becomes too windy. The seat recline is absolutely great, but it’s also worth mentioning that you won’t have it go completely flat. This shouldn’t be much of a caveat though, as it would rather be unsafe for most kids when traversing unpredictable terrains. Excellently padded, the seats are further bolstered for convenience, enabling your kids to remain comfortable should they stay inside for long periods. We all know how messy it can get when out with a restless a kid, but the BOB Revolution Flex Duallie won’t complain. Why? The seats are water resistant, which means this won’t get dirty at the slightest disturbance, and cleaning is a breeze when it does. The width of the seat comes up to 12.5.” For many parents, the 50 lbs carrying capacity should suffice. It also appears the stroller is compatible with infant car seats, and so it would work for much younger babies 8 weeks or older. As always, you want to err on the side of caution so you probably want to reserve the stroller for babies who can sit unassisted. 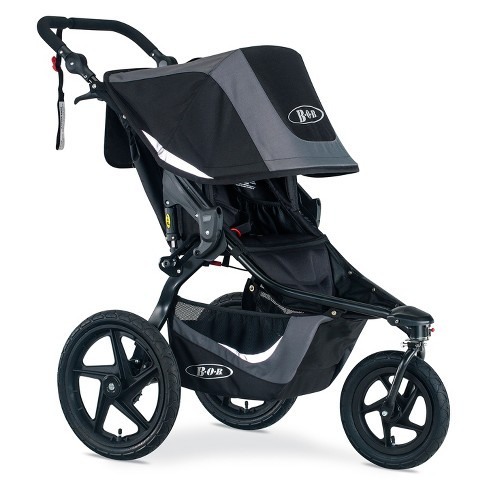 BOB model strollers are known to feature great canopy designs, and the Revolution Flex Duallie is no different. With a five-position sunshade that can be set in position independently, your baby can sleep super comfortable in this. And of course, you won’t have to worry about exposing them to the deleterious effects of the sun’s UV rays since the canopies are extensively capacious. Further, you have a water resistant canopy to knock off any chances of soiling your big kid when the rains come pouring down on a cloudy day. There’s also a peekaboo window to allow you keep an eye on your baby all day. One thing you probably don’t want to sign up for is the Velcro closure on the windows. This works rather noisily, which can be disturbing for much younger kids. So compare with other stroller alternatives equipped magnetic closure if noiseless operation stacks high on your needs. From the ground up, the handlebar runs between 33.5” up to 50.5,” which is just ideal for parents on either end of the height spectrum. Without a doubt, the Flex Duallie is among the top favourites out there with plenty of reviews on Amazon to back its functionalities. Sure, it has a few blemishes too, but the stroller works smoothly, balances excellently and pushes effortless if user reviews are anything to go by. With plenty of storage and top quality material for enhanced durability, the Flex Duallie may be the missing peg to a thrilling outdoor trip. To check out current reviews, visit the product page here. Aesthetically alluring, firm gripping and coming with rugged tire design, the Bumbleride Indie Town makes the cut in our list of the best strollers for big kids on the market. Made to last you past your baby’s first year, the stroller has a solid steel frame and a durable fabric to match. On the flip side, the stroller is quite heavy on the scale, weighing 36 pounds and also stretches 30 –inches in width. So it obviously wouldn’t work for parents short on storage space. Thanks to the sturdy wheels, the Bumbleride Indie shouldn’t complain on grass, sand, snow and gravel terrains. With the seats set up to allow unfettered views, your kids can buzz around wherever you take them. Perhaps the distinguishing feature of all Bumbleride strollers is their savvy use of recycled materials for their Oeko-Tex certified fabrics. Apart from coming in great colours, they are also phthalate and PVC free for an overall decent design. 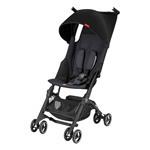 Compatible with infant car seats, this stroller is also great for your newborn. Each seat can accommodate a maximum 45 pounds weight, and so you don’t want to trump the 90 pounds carrying capacity at a go. Like many other double strollers, the Bumbleride Indie works fine for old kids and can hold up the weight of the average 6-year-old. Another advantage here is you can go all down when reclining the seats, which lets your baby nap conveniently. Add the parallel leg rest position and spacious legroom and the Bumbleride Indie should put your baby in the best shape for an all-day trip to the beach. The seats can be reclined easily using one hand. However, both hands are needed to get them back in upright position. You’ll need some expertise when adjusting the leg rest too, as two buttons have to be pushed simultaneously while setting the leg rest to any of three positions you desire. The near flat recline combines with the footrest support to give a bassinet-like structure a newborn needs. There’s also a five-point harness to securely keep them in position the whole day. 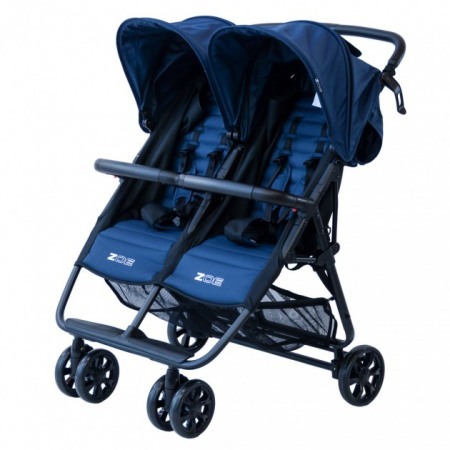 Nothing compares to a great double stroller with a roomy canopy suitable for use come rain or sunshine. Here’s where the Bumbleride Indie twin doesn’t fail. 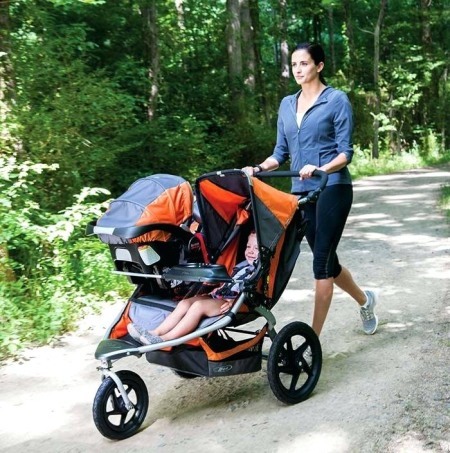 Thanks to the large and elegant canopy design, your baby can nap at will while you stride past trails or check-out the grocery store. The canopies’ individual adjustment ensures you don’t disturb your kids as you switch between different weather terrains. An SPF 45 rating and a magnetic peekaboo complete the sensational canopy design. You may also decide to get the Bumbleride rain cover for even better protection from moisture. For a smooth and comfortable ride on virtually all terrains, the Baby Jogger 2016 City Mini GT Double is yet another stroller for big kids you want to consider. Thanks to the soft padding, the seats provide excellent cushioning for your kids. Also invaluable is the five-point harness that can easily be adjusted as your baby’s size demands. Double strollers should provide sufficient depth to handle the weight of your kids, and the Baby Jogger 2016 City Mini boasts one of the best. Coming at a staggering maximum capacity of 50lbs on each seat, it is no doubt a delight for big kids. But that’s not all, the seats of the Baby Jogger 2016 City Mini are considerably roomy and complemented with an extended backrest support. Further, the stroller is built to provide head support up to 26” in height, which is simply unrivalled by most other double strollers. Like many other strollers on this list, you can easily fit in your 5-year-old in this Baby Jogger model. While great for big kids, the stroller doesn’t go entirely flat, and so this won’t do a great job for newborns. 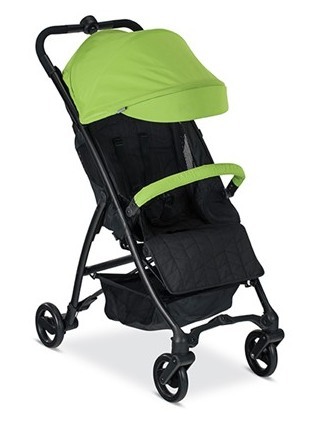 That said, the Baby Jogger 2016 City Mini should work well for kids who can independently control their neck and head movements, so you essentially want to use this for babies 6 months or older. Summer strolls can be a great way to stay refreshed outdoors, but things can get really stuffy for your tots inside, which is why ventilation is critically important. Welcome the back vents of the Baby Jogger 2016 City Mini and you are all set to double down on the ventilation needs of your baby on hot summer days. The seat recline may not be perfectly near-flat for a newborn, but it is sufficient for big kids to nap conveniently on the go. You also want to keep in mind that the upright position is not entirely straight, tilting a few inches down. Nonetheless, this shouldn’t deter your vibrant baby from buzzing around too. Before going all in for a stroller, a crucial feature to look out for is how adequate the protection is to keep your baby safe from UV rays. 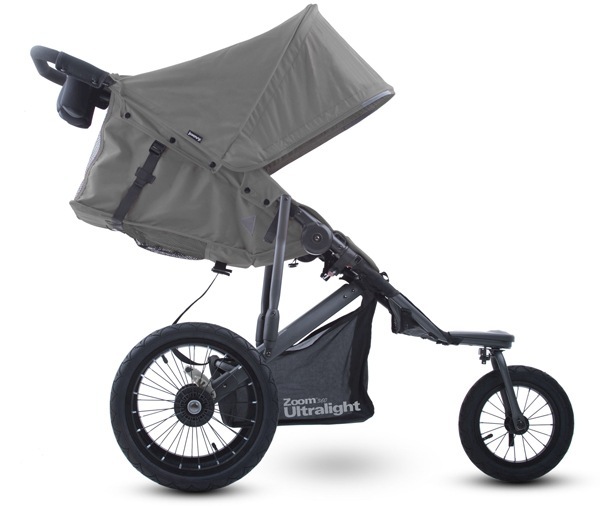 The Baby Jogger 2016 City Mini isn’t bad at all here, providing extensively wide SPF50+ canopies your kids need to stay clear of hazards synonymous with extended exposure to the sun’s UV rays. 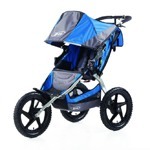 The Baby Jogger 2016 City Mini may not lead the pack if you are out for reviews, but it surely won’t lose the bout with its array of intuitive and user-friendly features. For some parents, it’s about the terrific wheel design, others couldn’t have relished a more sturdy construction. The handlebar is equally user-friendly across all surfaces, and the handbrake is superbly convenient. Barring a few caveats, the stroller should offer good value for money. As with many other double strollers, weight is a major gripe for most parents. For more on what parents are saying, head over to the Amazon product page. Below are the pros and cons you need to know before settling for the City Mini GT Double. 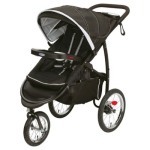 Most double strollers are not light, not so the ZOE XL2 BEST v2. Weighing a paltry 17 lbs, you’ll probably consider this a feathery buy if weight is critical to your purchase decision. And that’s not to mean you’ll be trading off with the qualities of a high-end stroller too. The ZOE XL2 BEST v2 is light to the touch but laden with features, getting you started with a whopping carrying capacity of 100 lbs on both seats. The seats are also long, measuring 23 inches from the bottom to the canopy. The lightweight design is complemented by a durable aluminium frame for an overall sturdy design. 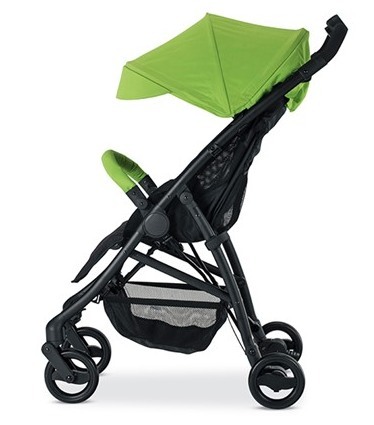 You’ll also relish the quick and seamless fold it presents, alien to many other strollers you can find. Built to hold a ton, the ZOE XL2 BEST v2 comes with two child cup holders, one parent cup holder, one child tray and a free double padded belly bar. Simply phenomenal! 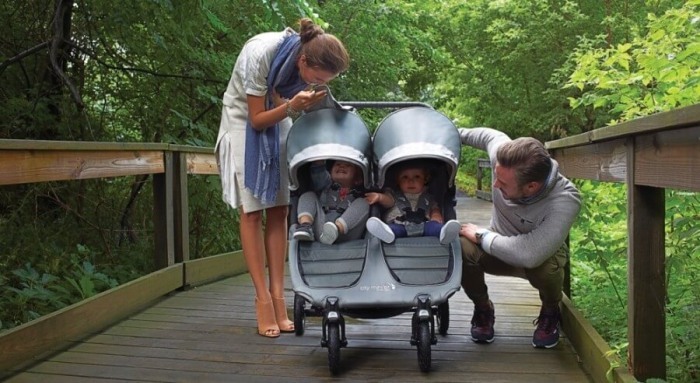 The stroller is additionally furnished with relatively large canopies and peekaboo windows to let you stay glued to your baby wherever you go. Easy to manoeuvre, the stroller works fluidly and probably wins the day for use on most urban terrains. It appears the ZOE XL2 BEST v2 won’t hold well on bouncy terrains and off-road surfaces, so you want to look elsewhere if those are a staple on your daily itinerary. With loads of options to choose from, we’ve distilled the major pros and cons of the ZOE XL2 BEST v2 to simplify your purchase journey. You can also check out the Amazon product page to see what other parents have to say before making your final pick. Sounds like this stroller fits the bill? Here are the top pros and cons to bear in mind. Umbrella strollers and their lightweight counterpart may not bother when it comes to weight. But there’s an obvious downside; most are not equipped with the many features you’ll find in a full-sized stroller. What ensues, then, is you are left scrambling for choices when your baby needs is a more robust stroller packed with the essentials and durability they need past their first year. Here’s where full-sized strollers come in. We’ve sort through the myriad of options available. So if you are out for a full-size stroller for big kids, here are our top picks. Built to last and designed with versatility in mind, the Britax B-Ready 2017 stroller is what you need when transcending the confines of a single stroller for the comfort and stability of a double inline alternative. Getting started, there’s a whopping 12 seating combination possible, so there’s little to no chance you’ll run out of options for your baby’s needs. Great for use as a single stroller, it readily converts into a double, allowing you to integrate two stroller seats, two infant car seats or two bassinets. 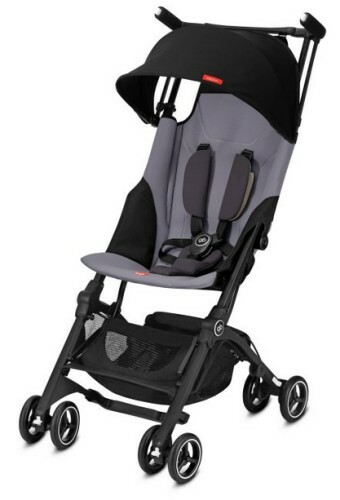 You simply call the shots and the Britax B-Ready is all yours for the taking! Other features include a roomy seat that seamlessly accommodates most big kids. There’s also a tall canopy to provide adequate shade when it gets scorching hot outdoors. You can recline the seats rather easily using one hand and can adjust the leg rest to suit your baby’s position without hassles. While some strollers don’t simply use with an adjustable handlebar, the Britax B-Ready is an exception, allowing parents of all heights to get behind their baby without any discomfort whatsoever. The suspension system may not be overly important if you only stroll on excellently paved surfaces. But the typical outdoorsy needs more support, which makes a good case for a solid suspension system. This stroller shouldn’t disappoint here as it is furnished with an all-wheel suspension system designed to withstand the attacks you will be exposed to on uneven terrains. Also noteworthy is the automatic lock and standing fold that keeps the stroller intact when not in use. Even more, it appears the Britax B-Ready folds quite easily, so no fuss packing this up after a tiring trip to the beach. Perhaps the most distinguishing feature you’ll notice is in its capacity. With a thumping 55 lbs carrying capacity, you can confidently keep your priceless tot in this and have a go with a 6-year-old too. The roomy seat dimension remains 12” wide as in the previous model. Thanks to the wide canopy design, tall kids won’t have a problem staying in this all day. You can recline the seat quite deep, but it won’t go entirely flat, which is why you probably want to consider this only for babies who have clocked the 6 months mark. For infant use, ensure to convert this into a travel system or integrate a bassinet and it should work just fine. The peekaboo window runs a magnetic closure, effectively warding off disturbance as you check your baby’s recline. There’s also a dark mesh that drives in air and keeps out sun rays from reaching your baby’s fragile skin. Combing through the catalogue of full-sized strollers for big kids, we stumbled on the UPPAbaby Cruz and couldn’t feel more inclined to include it on this list. Impressive from start to finish, the stroller is considerably lightweight and comes with an aluminium frame for an overall sturdy build. 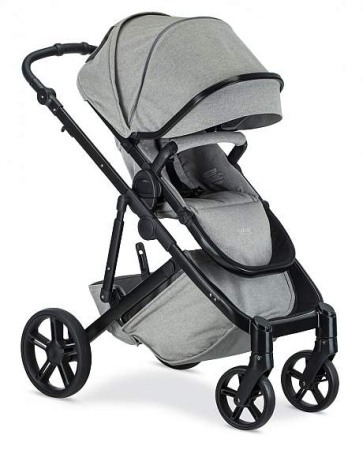 You’ll also fancy the compact design that’s often alien to many full-sized strollers. There are multiple seat positions available, which allows you to configure this tailored to your baby’s needs. And we are not done yet. It is not a given to for full-sized strollers to come with an adjustable footrest, but the UPPAbaby Cruz has one. It also appears the storage capacity of this stroller is unrivalled by other options out there, which means you can toss in all your baby’s outdoor needs without bothering on capacity. Further, the stroller has a roomy seat and should work great for kids anywhere from 3 months old. The maximum carrying capacity here is 50 lbs. Security features include a bumper bar to ensure your baby stays safe when coasting past bouncy terrains. You also have a 5-point harness to lock them tight. 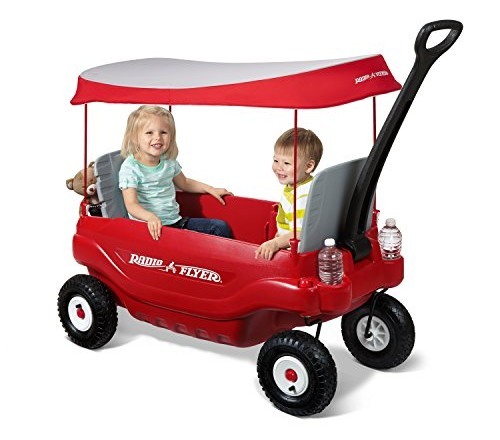 The comfy seat is well padded for enhanced comfort, and the large extendable canopy combines with a pop-out sun visor to shield your big tot from the sun’s UV rays. For a visually appealing and durable design, the Joolz Geo2 Earth Mono sounds just right. This stroller is well equipped on all fronts, coming with a reversible seat and multi-position recline. As opposed to a one-hand lever recline, you need two buttons on the sides to get this set reclined, which can be a little nerve-wracking for some parents. The leg rest is also not adjustable. The maximum carrying capacity of the Joolz Geo2 Earth Mono is 45 lbs. This should serve the need of most kids though. 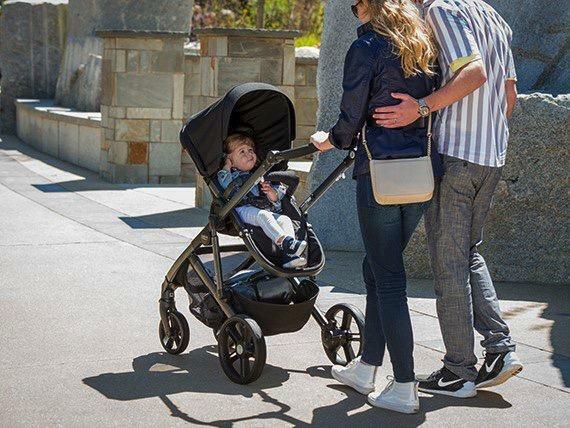 As for shade, the stroller presents a decent sized canopy with three large SPF 50+ waterproof panels to effectively keep your baby safe from UV rays. There’s also provision to hang a few of your baby’s toys using the two toy loops attached. Integrate a second seat and you effectively switch the Joolz Geo2 Earth Mono into a double tandem. The design stays compact, regardless, allowing you to go past doorways and crowded locations at will. Some may consider the seats less comfy than other alternatives, and the integrated seat may be problematic when hanging off a diaper bag. The best stroller for big kids should be highly functional, superiorly durable and versatile for use on multiple terrains. If this makes your ideal pick for your big kid, then you’ll fancy checking out a stroller wagon. From the ease of use to weight, compact fold dimension and manufacturer, we evaluated the top stroller wagons on the market and what follows is a list of our favorite 3 to simplify your purchase decision. Arguably the finest of the lot, the Veer Cruiser Premium Stroller Wagon Hybrid is on a league of its own, in no small part due to its efficient design and great functionality. The stroller comes with a maximum capacity of 110 lbs, and so this is usable for your newborn while growing with your baby for many years. The tires are made to work on both smooth and rough road terrains. The fold comes to just about right for most parents and is compact enough to fit in the back of your SUV. The Veer Cruiser Premium Stroller weighs only 32.5 lbs. Backed by JPMA and ASTM certification, this shouldn’t pose any safety concerns for your kids. The extra seat attachment fits nicely with an infant car seat. The ergonomic design is matched by flexible wheels to glide past surfaces – smooth and rough. But this stroller isn’t getting in your trunk without letting go a decent chunk of your budget – It’s not the cheapest out there! The main allure of the Radio Flyer Deluxe is its affordability. However, this isn’t to the detriment of the features you want in a wagon stroller. The 3-in-1 design touts its flexibility to function as a hauling stroller, for two riders or even a bench seat. You also don’t have to worry about safety as they are ASTM compliant. The stroller folds compact with one hand, collapsing easily into any of the three desired settings. The handle telescopes sublimely and allows you to get around town comfortably. The storage basket is equally ready to handle all that goes into it. The Radio Flyer Deluxe also boasts a humongous 150lbs carrying capacity and easy swipe material to handle all the inescapable mess after all day outdoor trip. Also cheaper than many on the price scale, the Keenz 7S Stroller Wagon rounds off our list of the best stroller for big kids. What sets it apart is its exceedingly light design that comes up to only 29 lbs. The interior is well padded for superior comfort, and the 5 point harness effectively straps your baby in firm position. Ditch UV worries as there’s a retractable roof that combines with a mesh sunscreen to shield away your baby from the external weather hazards. The Keenz 7S Stroller also boasts a humongous carrying capacity of 110 lbs and powers you through the day on sturdily treaded wheels supported by a solid suspension system. The front and rear wheels are 7.28” and 11” respectively. For more buyer reviews, visit the Amazon product page here. There’s really no gold standard stroller for all parents. However, among other features, weight is vitally important to choosing one that’s best for your big kid. If nothing, you want your kid to be safe. And you also don’t want to be coerced into investing in a new set every other year to match their new weight. You want a stroller that grows with your baby, and we’ve curated some of the finest on this list. With many trumping 75 pounds in carrying capacity, check out our top picks and you should be all set. A roomy stroller will provide ample room for your big kid, but this comfort can easily be ruined if there’s no decent proportion to match. Proportion here refers to how your child compares in height to the height of the seatback and legroom, both of which differ across models. Whichever stroller makes your final cut, we hope this review declutters your decision-making process and provides the clear cut direction you need when shopping for a stroller that’s not only right for your budget but truly built for your big kid.